President-elect Donald Trump has chosen Andrew Franklin “Andy” Puzder to nominate as his Secretary of Labor, according to Trump’s transition team. Mr. Puzder is the CEO of CKE Holdings, the parent company of Hardee’s and Carl’s Jr. He has been a vocal critic of the Obama Labor Department’s overtime regulations and efforts to increase the federal minimum wage. As Labor Secretary, Mr. Puzder will oversee the federal apparatus that investigates violations of minimum wage, overtime and workplace safety laws and regulations. The status of the new overtime rule is presently uncertain after a Texas federal court temporarily blocked the rule from taking effect. The U.S. Court of Appeals for the Fifth Circuit has just granted the Department of Labor’s request to expedite the appeal from that preliminary injunction order, but that appeal is unlikely to be decided before Trump is inaugurated as the next president on January 20, 2017. Accordingly, under Mr. Puzder’s leadership, the DOL could very well withdraw the pending appeal before a decision is issued by the Fifth Circuit, and otherwise not support the new overtime rule. Even if the overtime rule eventually takes effect, Puzder’s arsenal will include the authority to engage in rulemaking to roll back or modify the overtime rule, consistent with the notice and comment process under the federal Administrative Procedures Act. Other immediate measures Puzder could take to shift or reverse the direction of the Obama DOL would be to modify interpretive guidance about a variety of labor and employment rules issued under the Obama Administration. For instance, Puzder will likely modify an administrative interpretation by the DOL’s Wage and Hour Division regarding the joint employer doctrine. Under Obama, the DOL has cracked down on employee misclassification and been vocal about its belief that most workers should be treated as employees, insinuating that in a majority of cases, it would hold employers accountable for the specific obligations of an employer-employee relationship. The Wage and Hour Division has offered an administrative interpretation under the Fair Labor Standards Act and Migrant and Seasonal Agricultural Worker Protection Act that broadened the definition of joint employment. Under that doctrine, two employers may be responsible for the violations of each other because of how they jointly use the same employees or because of the control an employer exercises over the employees of an intermediary employer such as a contractor or staffing agency. Although Puzder has been less outspoken about his positions on the Occupational Safety and Health Administration’s (“OSHA”) recently proposed and promulgated regulations, it is reasonable to assume that his general anti-regulation posture will map to the safety and health sector of the DOL, as well. As the CEO of a company that owns, operates and franchises fast-food chains, Puzder is certainly familiar with OSHA enforcement and the recent string of new rules promulgated by OSHA in the waning days of the Obama Administration. It is therefore likely that OSHA, under the leadership of Puzder, will roll back some of its newest rules. 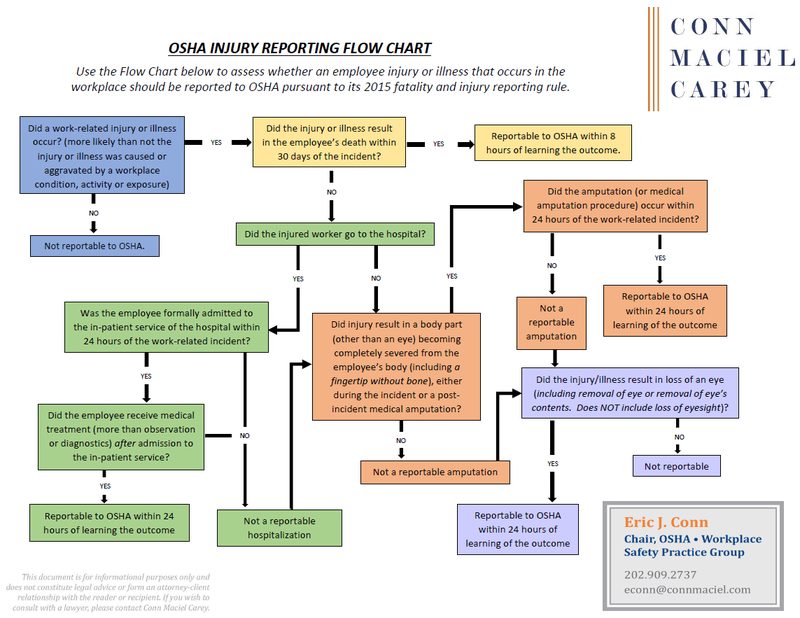 For example, OSHA received significant pushback on the new Electronic Injury Recordkeeping Rule, both in connection with OSHA’s intent to publish employers’ injury data online, as well as the controversial anti-retaliation provisions (i.e., restrictions on post-injury drug testing and safety incentive programs). It seems likely that OSHA under Puzder will not move to publish employer injury data this summer as planned, and perhaps the collection of the data itself could be halted, or at least delayed. Likewise, enforcement of the anti-retaliation provisions is a likely target for elimination. Other OSHA issues Puzder is likely to scrutinize include the new Silica Rule, which also received substantial industry criticism, and perhaps the 80% civil penalty increase that went into effect in August of this year, or at least the mandatory annual increases set to follow. As to controversial proposed rules and initial rulemakings, such as OSHA’s effort to revamp its PSM standard, they are expected to lose traction in a Puzder DOL. Significant changes are also expected to OSHA enforcement guidance, such as rescinding OSHA’s interpretation that purported to allow union representatives to participate in inspections at non-union worksites, and scaling back the look-back period for past violations to serve as the basis for a Repeat citation from the new 5-year period set by Obama’s OSHA, to the historical 3-year period. 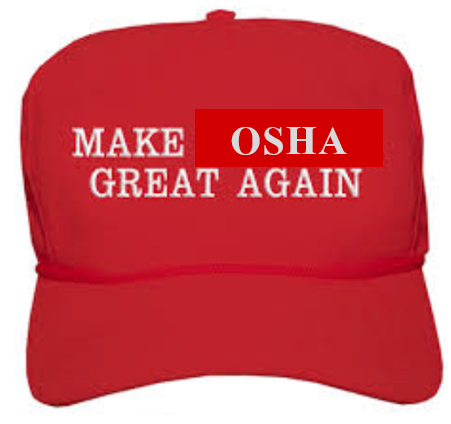 OSHA enforcement will likely more closely resemble those during the George W. Bush Administration. Under Pres. Bush, compliance assistance was utilized as much as possible over enforcement, and the Trump-Puzder regime is expected to take a similar approach. 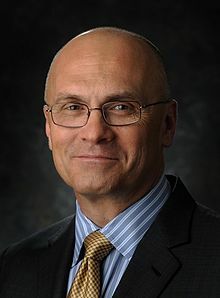 Puzder’s authority to impact regulatory and enforcement actions will extend to the DOL’s administration of guest worker programs, as well, allowing foreign nationals to immigrate to the United States and work on a temporary basis, as well as the DOL’s coordination with the Department of Homeland Security over the enforcement of immigration laws in the workplace. It is uncertain what will happen under a Labor Secretary Puzder, whose past immigration stance is at odds with the President Elect’s. In an op-ed piece Puzder authored in The Wall Street Journal last year, he counseled Republican presidential candidates to come up with a vision of how to deal with immigration, including the 11 million undocumented workers already in the country. He supported a “path to legal status” that would be “short of citizenship” so long as the undocumented pass a background check, pay a fine and learn English, among other measures. Ultimately, employers may benefit most from Puzder’s authority to reallocate agency resources away from agency enforcement actions for labor law violations. Under Pres. Obama, the Wage and Hour Division has been very active in enforcing labor laws and investigating industries and workplaces with a history of labor law violations. Puzder could slow down enforcement and conduct fewer investigations. The first hundred days of a Puzder Labor Department may be telling as we continue to read the tea leaves to assess how employers will be affected by the change in administration.